The SRO, Juznorusskaja Ovcharka or Jouzhak for Russians, was the first Russian Ovcharka breed to be recognized by the FCI in 1983 while in 1952 all the 3 ovcharka breeds (SRO, Caucasian and Central Asian Ovcharka) have been recognized by the Soviet Official Dog Breed Associations. The SRO is a livestock guarding dog . The native breed territory are the lands of modern Ukraine and the lands around the Black Sea until the Caucasus. These lands are very large but similar: all these are steppes with low hills; the weather is dry and cold during the winter and hot during the summer. During the winter there isn’t too much snow but the soil is frozen during a long period of time; the temperatures are often below zero (around 10° C below zero or more) and there are cold winds from the North. In the summer the temperature is around 25-30° C and the weather is dry with dusty grounds. There are different opinions about the origins of the breed, some of these appear more realistic than others to me. The most well known of these opinions is from Mr. Mazover. His theory is that the SRO derives from a cross breed between the Asturian Shepherd dog (a Spanish herding dog) with a “Tartarian-Tartare Ovcharka “ (a livestock guarding dog) and a coursing dog (ancient Borzoi or Crimean coursing dog ) used to catch wolfs, around the 1790s when the Merino sheep arrived from Spain. The doubts about this opinion arises if we consider the breeds of these mixes: the purpose of this cross breed was to create a livestock guarding dog to protect the precious sheep from predators. Why would one cross a dog such as the Tartare Ovcharka which is a livestock guarding dog with a long experience as protector, with a little herding dog with completely different looks. And, more important, with opposite behaviour of a guarding dog. And, again, cross breed these with a coursing dog with a very high predator instinct (a livestock guarding dog must NOT have a predator instinct or a very low) with the only reason to increase the size? Other authors like Mr. Mazalov, Mr. Browner and Mr. Sabaneyev maintain the theory that the SRO ancestor was a very ancient and pure dog. To stand this hypothesis we can compare other livestock guarding dog breeds like the Hungarian Komondor and the Romenian Mioritic. Both the breeds are very similar to the SRO and Hungary and Romania are near to the Ukrainian territory. These 3 breeds are so similar that obviously they have the same origin. 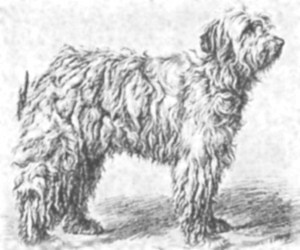 If we consider documents about the origins and evolution of the Hungarian Komondor we can find information since 1544 (Peter Kakoni describes the Komondor in his “History of Astiages King”); also in 1653 we found the Komondors work as livestock guarding dog praised and again in 1815 a picture of this breed was published. The question is how the ancestors of these 3 breeds arrived in these countries and where they came from! About the Komondor origins authors suppose that the Cuman tribes could have brought his ancestors from the Central Asian lands. The Cuman tribes stayed between the 1150s and the 1222s after Chr. in the Southern Russian territory (-> SRO). Then in 1239 after Chr. they arrived in Roumenia (-> Mioritic) and they stopped later in the Hungarian steppe, the Puszta, near to the East coast of Tibisco river, land named Kunsag nowadays (from Kun-> Cuman). Or, may be, the common ancestor could have been arrived in the southern steppes of Russia and in Central Europe, together with Scytes tribes 1000 years before Christ. Shytes tribes were not only famous warriors but also famous as breeders of horses, cowand sheep. Surely they must have had dogs to protect their flock. the Sumerians before the Scytes had livestock guarding dogs also, which can be read in the most ancient poem, “the Poem of Gilgamesh”. During the century many tribes moved from the East to the West of Eurasia; the livestock guarding dogs exist from 8000-6000 years before Christ and searching their origin is a very difficult work. 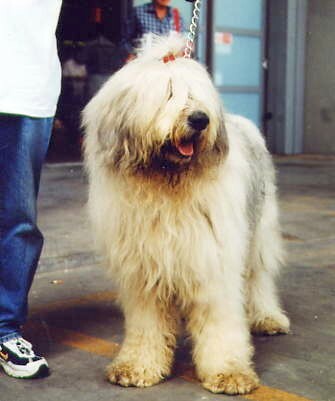 In Europe there are several dog breeds with long and matted coats such as the Gos d’Atura in Portugal, the Bergamasco and the Spino degli Iblei in Italy, the Bobtail in Great Britain, the Briard in France and the Bouvier des Flandres in Belgium but this is not enough to declare that they have the same origin. Perhaps in the future the DNA test can help us. 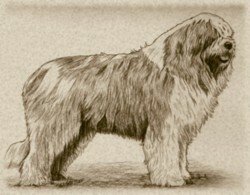 In 1800 the SRO breed was widely spread over all south Russian land, specially in the territory of Askania-Nova. Here the family of Falts-Fein, coming from Germany, had a big property where they bred Merino sheep and they also had the biggest selection centre for SRO: more than 2000 subjects! The civil war in 1915 destroyed all this, the SROs also. In 1923 a SRO fan, Mr.Brauner, went to the Askania-Nova territory to look for some SROs who survived the war but he found only a few young subjects. With the help of the military arm and SRO fans, the breed returned to live. In 1928 in Dzankoi, Crimea, a new selection centre of the breed was constituted. In 1939 in Simferopol SRO fans organized the 1st breed meeting. Then the 2nd World War arrived and everything stopped and disappeared. During the 1950s-1970s a difficult and long selection of the SRO breed started again. 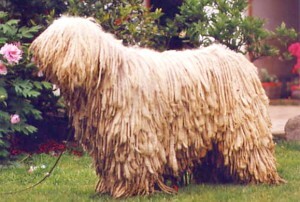 The Hungarian Komondor was introduced to join fresh blood. Today the SRO breed is widespread in Western Europe also, but with a few subjects although of good quality.